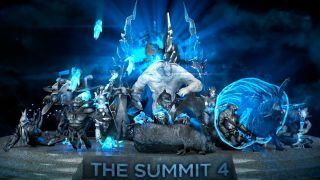 Eight Dota 2 teams have battled it out since Wednesday till just one remained standing: last night, Evil Geniuses won The Summit championship for the second time, besting surprise finalist Virtus.Pro to take home $49,000. VP was far from the favourite, but nonetheless ploughed through the lower bracket, showing signs of fatigue only as it entered the third round against EG. With Fear on Bounty Hunter, EG were able to out-farm VP's line-up—a surprising turnaround considering that VP took the second game in a devastating 27 minutes. A fourth-game rampage in the Dire base from EG's Arteezy on Gyrocopter ensured a final, decisive match. It's been a busy year for Evil Geniuses, who placed third in last month's Frankfurt Major, second in the MLG World Finals, and of course took home the Aegis at The International in August.